"Tangerines" — Valerie Hector Designs, Ltd.
I’m not a great fan of war movies. But I’m glad I saw “Tangerines” recently. 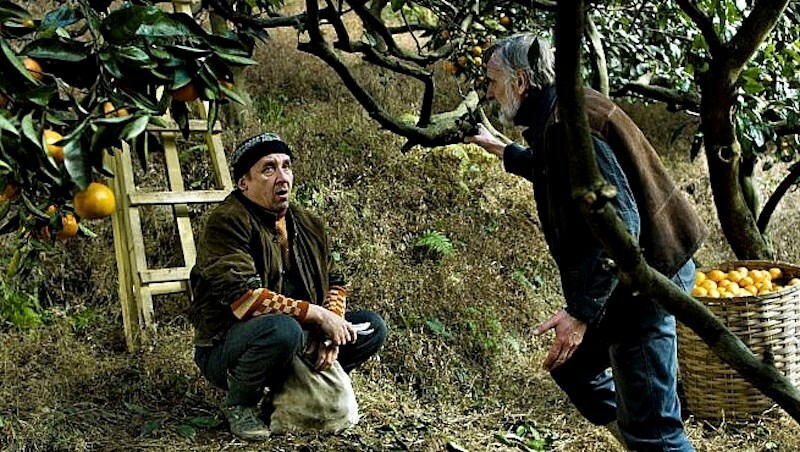 A 2013 film written and directed by Zaza Urushadze, “Tangerines” is set in rural Abkhazia, an independent republic within the republic of Georgia on the northern shores of the Black Sea, just south of Russia. Nestled within the Caucasus Mountains, the valleys are lush with trees, farms and narrow winding roads. The main themes of the movie are not new: first, the futility of war and second, the human capacity for a profound change of heart. They remind me of the 2005 French film “Joyeux Noel,” which tells of a truce that took place for a few hours on Christmas Eve 1914 between German and Allied soldiers engaged in brutal trench warfare. Instead of man’s inhumanity to man, we witness the opposite, before the exigencies of war return and blow the truce to bits. Although it deals with a different time and place, "Tangerines" follows a similar trajectory. 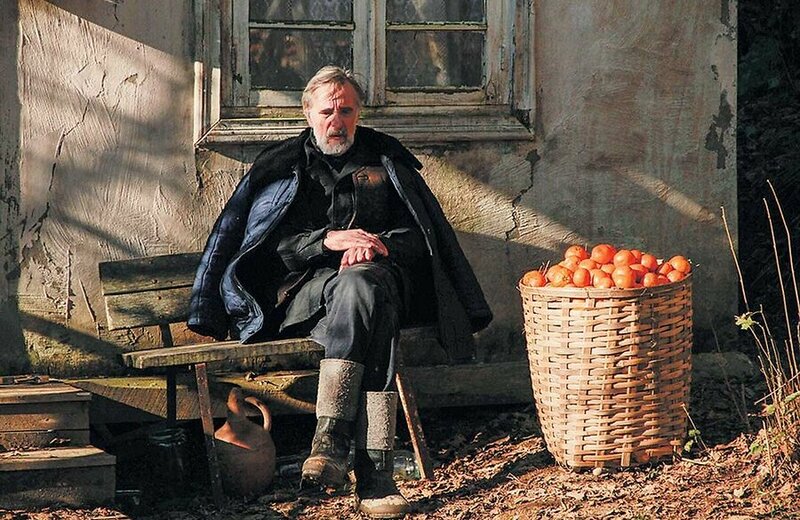 War sets rural Abkhazia ablaze in the early 1990s, as two Estonian men, Margus and Ivo, rush to harvest what is sure to be their last tangerine crop for a long time, maybe forever. Their families and neighbors have fled back to Estonia to wait out the war. Once the crop is in, they too will return to Estonia. At least, Margus will. Ivo says he cannot leave. Only at the end of the film do we get a sense of the reason why. 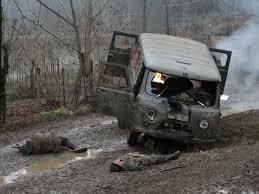 Soon, soldiers of various ethnicities enter the area in beat-up army jeeps outfitted with cassette tape players. The soldiers start firing at one another in front of Margus’ house. Two of the five soldiers involved in the shooting survive but are badly wounded. 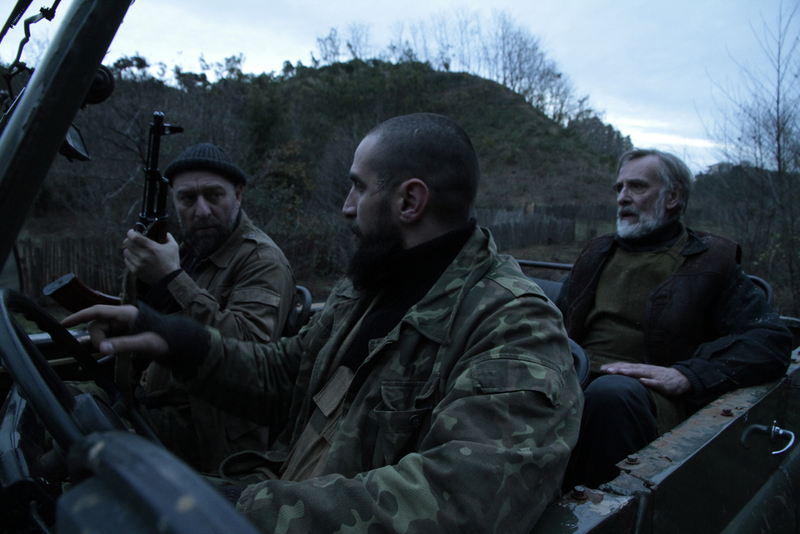 Ahmed, a mercenary, is a Chechen Muslim fighting for Abkhazia. Nika is a Georgian Christian. They have only the Russian language in common, or so it seems at first. Margus and Ivo do the humane thing. They carry the wounded soldiers into Ivo’s house, call a doctor, and help the soldiers slowly recover from their wounds, at great risk to their own lives and as Margus notes, to their harvest as well. Even in their weakened conditions, Ahmed and Nika trade insults and threaten to kill one another. I can’t say too much more without giving away the rest of the plot. Eventually, however, Ahmed and Nika come to a begrudging mutual respect, a kind of comradeship. I'll mention three things that I liked about this film. First the visuals -- the palette of muddy earth tones, chief among them browns, beiges and greys: shades of army camoflauge, transferred to mother nature. Relentlessly somber, they evoke the grim events that will bring the film to its end. The muddy tones are relieved by the bright hues of the tangerines which hang from leafy green trees, sit in crates or bags or fill a bowl on the kitchen table. Only once do we see someone eat one. These are the colors of war…vying with the colors of peace. Will the tangerines make their way to market, or fall to earth and rot? It's not just the money that the tangerines will bring, Margus explains to the wounded soldiers. It would be such a waste if the harvest were lost, so very pointless. Just like war, we think to ourselves. The color of the tangerines is echoed in the color of the only sweater that Margus seems to own, for he wears it every day -- and in the plastic cassette tape that Nika tries to repair by cutting, splicing and rewinding, inch by wrinkled inch. Unfortunately, orange is also the color that issues from the end of the machine guns fired by a small band of soldiers that suddenly arrives on the scene. An artist's eye also informs the framing of the scenes. Some bring to mind Northern Renaissance landscape paintings such as those of Pieter Bruegel. Part of the credit must go to Rein Kotov's cinematography. Second, I liked the acting. Estonian actor Lembit Ulfsak renders Ivo with a quiet sort of wisdom born of advancing age and great personal loss. He's weary of the world, but feisty when provoked. As the film continues, we cannot help but identify with Ivo’s anti-war outlook. The other performances are equally compelling. “I propose a toast to death,” Ivo declares one night as the four men sit around an outdoor table having dinner, “for death is the mother of these men.” He’s referring to Ahmed and Nika, who are still threatening to kill one another, to Ivo's utter disgust. I saved your lives, Ivo reminds them, but I'll kill you both if you keep this up. Out of respect for Ivo, the soldiers settle down. Margus cannot bring himself to drink a toast to death, even to please his good friend Ivo. Third, I liked the soundtrack, with music by Niaz Diasamidze. Restrained, contemplative and mournful, the music comes from a seemingly solitary musician, an invisible observer, lamenting human folly (click here for a sample on Youtube). The same tune recurs throughout the film, delivering continuity and deepening the overall sense of tragedy. Another tune plays at the end of the film, coming from Nika's cassette. It's marginally happier in nature. But the happiness isn't convincing. For all its darkness, “Tangerines” has comic moments. They brighten the film just as the tangerines brighten the scenery, giving us a reason to hope that one day humans might finally stop fighting...that the coming harvest might be of fruit, not of human bodies. Above: Ivo, played by Estonian actor Lembit Ulfsak.